The Blue Riband event THE OPEN SINGLES champion was won by no 1 seed Martin Hewett who took The Brian Fuller Trophy overcoming Peter Ives in three very hard and two closely fought setts 3 10 10. In the third place play off Miro Danadzhiev overcame Wayne Matthews 8 12 -2 5, who respectively lost in the semis to Martin -8 5 8 5 and Peter -10 3 8 14. The Ladies Singles champion was Jill Shipton, retaining her title after hard battles against runner up Anna Vihrogonova in the final -9 12 7 2 and Julie Parker, Claire Blackman and Brooke Palmer in the group games. Julie Parker took the Ladies Singles Restricted title beating runner up Claire Blackman after coming from 2-1 down -10 5 -6 10 9. Brooke Palmer in her first time at the Closed took the Ladies Singles Plate title. The Open Singles Restricted winner was Raghu Malhotra who overcame Paul Godson -8 4 9 10 with Robert Parkes and Terry Clapperton both reaching the semi finals. The Open Singles Intermediate winner was Mark Steeden who defeated veteran Keith Ball 10 10 6 with Claire Blackman and Julie Parker losing out in the semis. The Mens Doubles saw several surprise results throughout the event, culminating in Peter Ives and Peter Davis taking the title by beating Martin Hewett and Richard Beckham in another closely fought match -10 -14 9 9 8. The real surprises came in the Mens Doubles Restricted where Mark Steeden and Tim Noble did very well to reach the final before they lost out to Dave McAulay and Raghu Malhotra 5 9 9. Veterans Keith Ball with Ken Hewett and also the Tim Vaughan and Robert Parkes combination, against the rankings both reached the semi finals. The Mens Doubles Plate final went to Greg Hackers and Sam Woodcock after a great claw back from 2-0 down against Jack Pavey and John Caplen -6 -4 7 12 11. The Mixed Doubles closed the tournament with Anna Vihrogonova and Richard Beckham taking the winners title defeating Julie Parker and Wayne Matthews 9 3 -6 7, who had taken out favourites Jill Shipton and Peter Ives in the semis by the tightest of margins 3 -3 -5 10 10. Player of the Tournament this year goes jointly to Miro Danadzhiev and Brooke Palmer, for their respective performances in overcoming several higher ranked opponents. S2 Richard Beckham/Anna Vihrogonova beat Wayne Matthews/Julie Parker 9 3 -6 7. 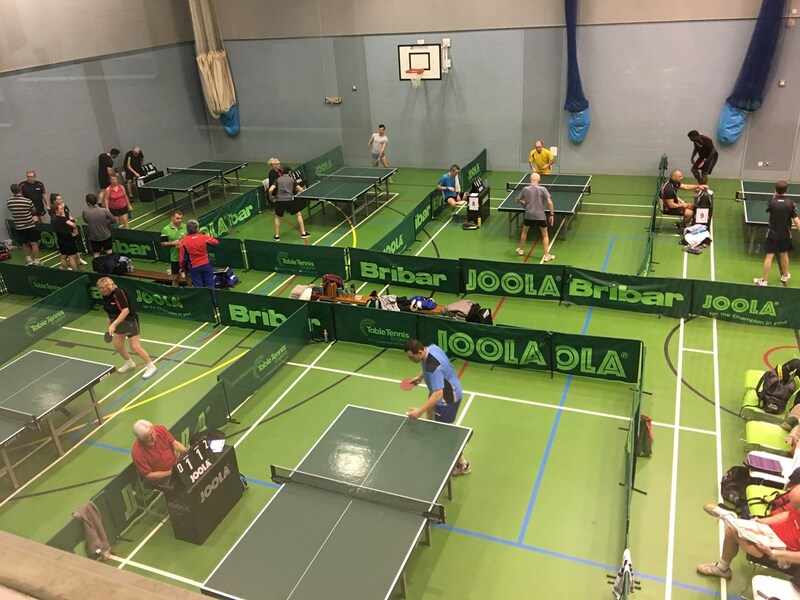 Just like the main closed tournament in January this competition of Junior, Senior, Veteran and Handicap events produced some excellent table tennis and tight matches throughout its events. All events were played in groups of three through to the semi final knockout. The Handicap event had the largest entry number. Players were playing for The Barrie and Eve Skates Trophy. These games were played to 21 pts. There was one tied game decided by the penultimate point rule and numerous games that were decided by 1 or 2 points. There were some not so close but a few groups went to count back on points difference. It always prove a popular event for competitors, who like to be able to play the stronger players on more even basis. The Veterans event for The Gordon Harris Trophy was the second highest entry. The Seniors event was a new event to provide equal opportunity for all age ranges, in this case under 40. The Junior event was not well supported. The Junior entry were as result allowed to play in the Senior event. William McCarthy took the Junior title from Jordan Chung (who unfortunately had to withdraw through illness). Overall the numbers were not as high as expected, given having the split weekends for the two tournament days had been suggested would encourage participation. It was though impacted by the only available date for this competition falling outside the league playing season. Additionally we had five drop outs, two in advance, one the night before from the Junior event and two did not shows. In fact we came to an arrangement to share the weekend with The Kent Senior Closed to take place on Sunday 26th April (halving our table hire costs). Again the Kent Messenger came along and took pictures, among them the oldest (Jim) and youngest (William) which speaks volumes of table tennis. 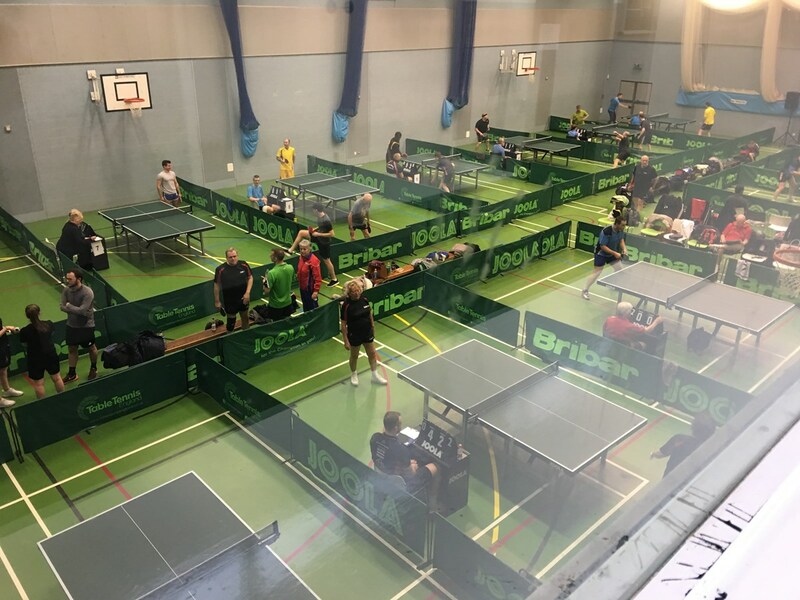 In its 95th anniversary year the Maidstone and District Table Tennis Association Closed Tournament produced some excellent table tennis and tight matches throughout all its events. In the blue riband event Phil Tomas became champion taking The Brian Fuller Open Singles Trophy overcoming Peter Ives. Phil and Peter respectively put out last years finalists Phil Morford and Martin Hewett. In the quarter final Peter Ives overcame Wayne Matthews but only 14-12 in the fifth in what was a superb and tense match where the initiative swayed from one player to another. The Ladies title went to Jill Shipton, holding onto her crown from last year. Gill Skilbeck again took the runner up spot after they both beat Julie Parker, Debbie Holland and Christina Finn (nee Walton) in the group rounds with Julie taking the Ladies Restricted title. In all other events there were new winners, after some upsets where lower rated players overcame higher opposition. Nowhere was this better shown than Jordan Chung and Sam Woodcock, the lowest rated doubles pairing from division 4, getting through their group and then knocking out the Mens Plate Doubles title holders to reach the final before succumbing to evergreen Graham Minter and Jack Pavey in a four leg final. Some other evergreen players who have participated in the league for many decades gained medals and presented the medals - John Caplen as The Open Plate Singles winner, Ken Hewett as The Open Intermediate Singles runner up, Martin Hewett taking third place in the Open Singles with Jack Pavey presenting the singles medals, Jim Bradford presenting the doubles medals and Rob Hart the mixed doubles. There were a number of family pairs were the draw unkindly threw them together to play each other in various rounds, Nick and Peter Stokes, Martin and Ken Hewett, Christina and Patrick Walton, Debbie and Terry Holland. In each case the younger member beat their elder. 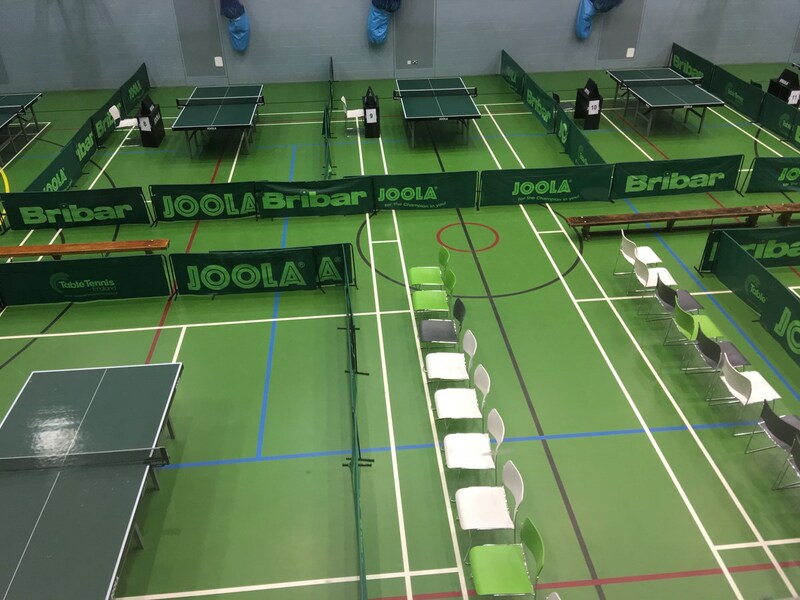 The tournament ran with twelve tables in use and at the end there were some tired players, who had been kept busy. The 47 entries playing around 160 games in 7 different singles and 4 doubles competitions held in the tournament's 8 hour duration. 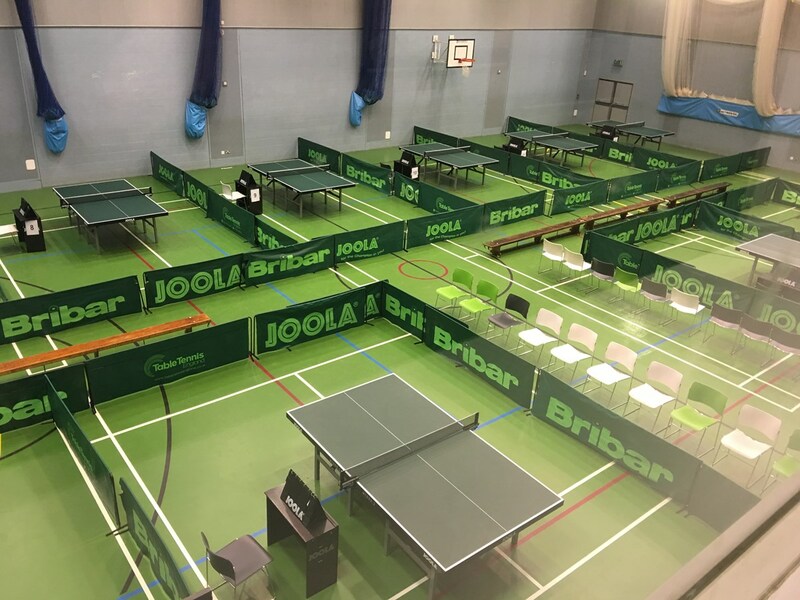 The venue at The Maidstone Y Centre in Loose made an excellent location for table tennis and thanks go to all the players and organisers for a good tournament. It was excellent this year that all the entered players turned up, keeping their entry committment and thus helping to maintain a full schedule of matches for everybody. The finalists in the Open Singles playing 7 games and those (which is minimum for most players) knocked out in the QF groups playing 5 games. The Mens Doubles and Ladies finalists all played 4 games and again those knocked out in the QF groups getting 3 games. 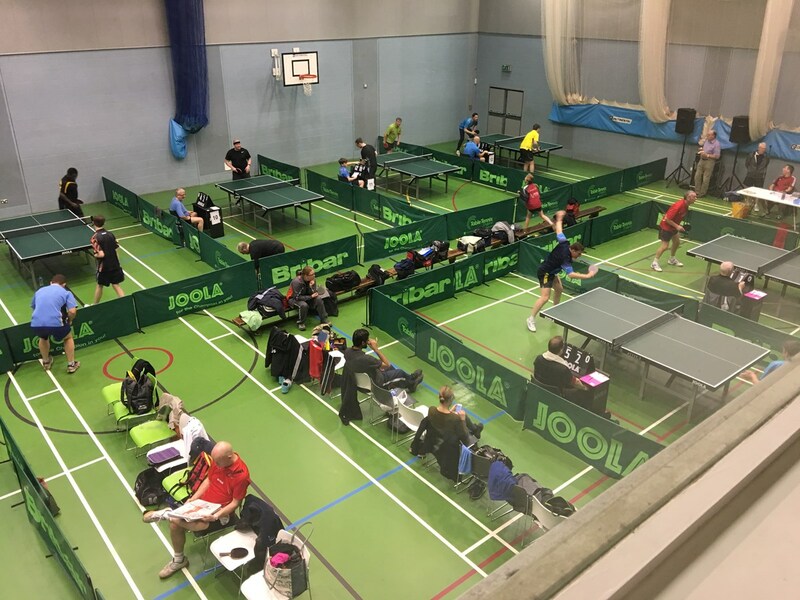 The Mixed Doubles was a shorter affair starting at a QF knockout and concluded the tournament, after which came the taking down of the tables and hardware. A big thank you to all those who put up tables in the morning and took them down in the evening. The games started some twenty five minutes later than the intended 9am (as tables had to be put out having been used for a Kent Schools Development Coaching and Tournament the preceding day but which had to taken down on Saturday due to a roller skating event) but it was pleasing that the Mixed Doubles final was completed at the scheduled 5.30pm finish time, bringing the day to an excellent conclusion. We can report the raffle realised a profit towards tournament costs of £67.40. The 1st prize of £30 Bribar voucher went to Peter Stokes, 2nd prize of Bribar £20 voucher went to Jim Bradford and 3rd prize of Famous Grouse Whiskey went to the McCarthy family. There were also minor prizes for box of chocolates, babycham and ladies items. Lots of good performances so no single winner but Special Mention is made of Jordan Chung and Sam Woodcock who combined to overcome much higher rated opponents in the Mens Plate Doubles QF groups and SF to reach the final. Patrick Jeffery - seed 6 - Larkfield - 6th - plays in The Under 21 Plate final. Tournament held on 30th November at Beechwood Community Centre, Barming.